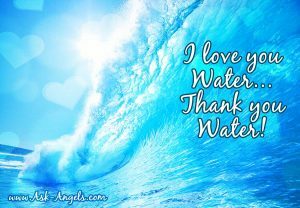 Honoring Your Life Force Vibration with Water! Water is a vital ingredient needed to keep your physical body functioning. Looking at water from a slightly spiritual perspective, it’s a form of life force energy. Your physical body needs water to survive… But its also water that helps to keep your energy circulating! When you maintain proper hydration, you help to keep your physical and energetic body light, bright, clear, and aligned with the Divine and spiritual realms. Drinking plenty of water also helps you to maintain mental clarity, it’s energizing, and when you drink pure filtered water, it serves to flush out toxins which raises your vibration, and leads to increased energy, vitality, even happiness. Being dehydrated not only has physical consequences… But spiritual and energetic ones too. If you’re dehydrated, your spiritual gifts become harder to access, your vibration drops, and your aura weakens. If you do get dehydrated, expect to have a harder time thinking clearly, staying focus, and staying positive. Luckily, there is a simple solution! Drink plenty of water! Something as simple as carrying a water bottle around with you is a great way to support your body in staying energized, clear, and light. When it comes to water, most tap water does contain traces of harsh chemicals and pollutants, which can clog up your physical, mental and spiritual being. Some cities even add a chemical, fluoride to water which is detrimental to the pineal gland. Bottled water also can pose to be problematic, as the plastic, it is usually stored in leeches chemicals into the water over time. A good water filter is an invaluable tool for staying healthy and continuing to progress spiritually. I also strongly recommend you drink out of a glass bottle instead of plastic, which slowly leeches into your water. If you are worried about breaking a glass bottle, there are several that have a padded exterior, or you can go with a stainless steel bottle… Make sure if you do choose a stainless steel bottle that it’s of the highest quality, as some are lined with aluminum, have BPA lids, or aren’t actually food grade stainless steel which is important. Do you have a source of clean purified water without chlorine and fluoride? If not… what would it take to change that? As studied by Dr. Emoto, water is very sensitive to conscious thought. Dr. Emoto studied the effect we as human beings have on water with our thoughts and intentions. His research illustrated that we can actually change the nature of water molecules with our thoughts. 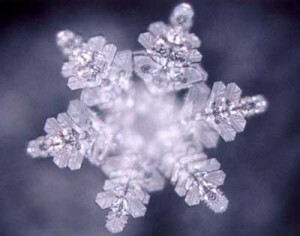 Through scientific study, Dr. Emoto found that written words like “I love you” “Beautiful” “Gratitude” or “Thank You” taped to a bottle of water caused the water when frozen to form beautiful water crystals. Words like “hate” “disgust” or “ugly” caused distorted or no crystals at all when the water was frozen and photographed. I point this out for two reasons. 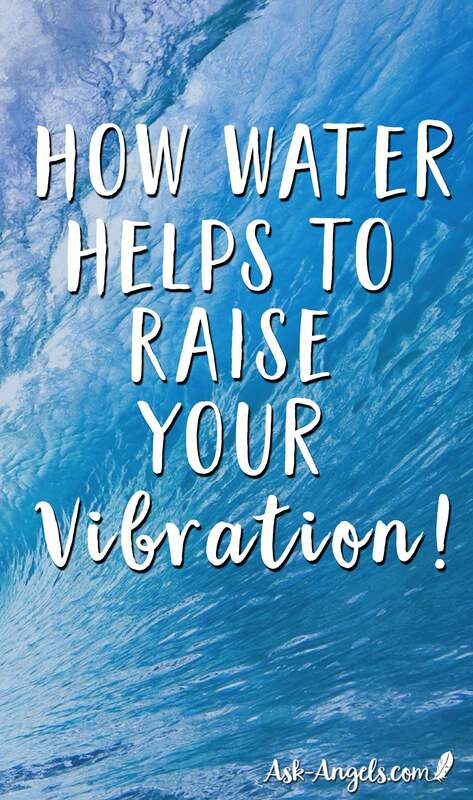 One is that you're made up of 70% water yourself, so sending yourself loving thoughts, blessings, and affirmations is hugely supportive in raising your vibration, healing, maintaining physical vitality, and improving your life to align with your dreams and goals. Secondly, you can infuse the water you drink with positive thoughts and blessings that the water will then share with you when you drink it swim in it, shower, etc. You can also use Dr. Emoto's method and tape words to your bottle or water filter which will infuse the water with the Divine qualities of Love, Peace, Hope, Joy, Happiness, Abundance, or anything else you want to create and experience more of in your life. Or just simply send a little blessing of love, gratitude and light before you drink a glass of water! When you do this, do you notice a difference? Crystals are another fun way to supercharge the vibration of water. I like to place a ring of small tumbled stones around my water bottle at night when I go to sleep, and I can definitely notice a huge in the vibration of the water in the morning when I wake up. Use whichever crystals feel right and good to you then pay attention and see if you can notice any difference when you drink your crystal and affirmation charged water. From my experience, over time I can tell you this does make a difference! Another fun energetic treatment for water, is to make Moonlight water by placing your glass bottle full of water out under the light of the full moon. Learn more about this process here! I have also written about adding essential oils to your water that you can learn about here. Or check out my post on the cleansing power of Salt Baths here!